Panoramic gulf and bay views through a rare island retreat. Featuring 3 stories remodeled in 2017, 4 bedrooms (2 master suites) 3. 5 bathrooms, private 3 floor elevator, heated pool, and direct access dock with lift. Crows nest on top offers 360-degree views of captiva, beaches, gulf of mexico, the bay, and barrier islands. Everything has been meticulously maintained, remodeled, and decorated. The 2nd floor features bedrooms and baths, including 2 master suites with en-suite bathrooms. All beds are generously sized with windows and patio balcony. The 3rd offers endless views of the island, a completely remodeled antique island style kitchen, beautiful cabinetry and wood counters, cathedral beam ceilings, and large living room. Wrap around 3rd floor patio deck overlooks the bay, gulf, and beach for an incredible view with access to the top crows nest above. Very rare private heated saltwater pool on the water to relax! Private dock / boat lift for fishing and commuting right from the back yard! Deeded beach access for homes on this street, beach access short walk. Upper captiva is a peaceful, private, and exclusive island. Inquire now and start living your vacation get-away! Over-sized canal lot with over 90 ft of frontage on the canal. A wooden dock is already in place and the property has been partially cleared. This island building lot has views to the harbor, pine island sound, and panoramic views over the state park lands from upper levels. With no neighbors across the canal, the views will stay unobstructed and preserve your privacy on that border of the property. Adorable lakefront cottage with plenty of outdoor living space, two bedrooms, and within a short walk of dockage, ferry landing, and community pool. The spacious living room opens up with a three-panel sliding glass door onto a covered and screened room with excellent lake views. A large kitchen and formal dining room extend the gathering space with plenty of room for all. Just off the living area is a guest bedroom with great views of the lake and it's own private entrance to an open sun deck. The upstairs level offers a spacious master suite with cathedral ceiling, a private en-suite bath, and sundeck. 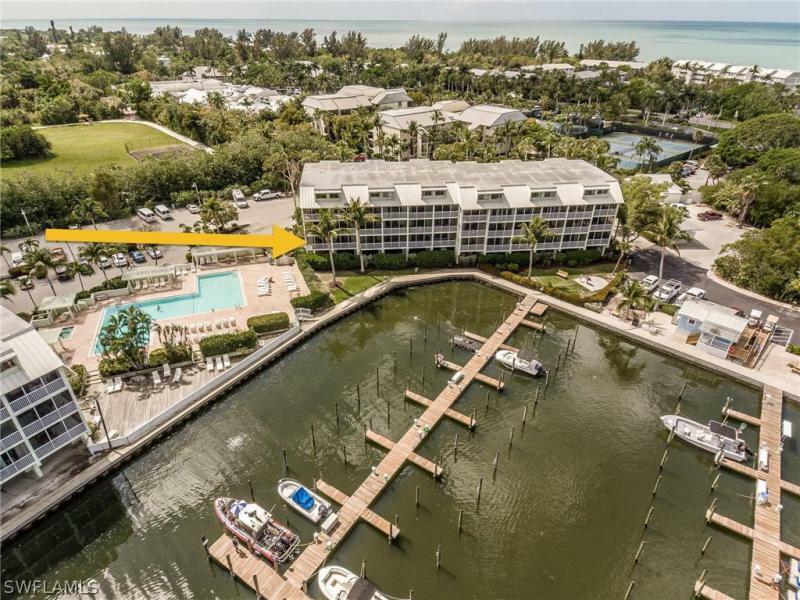 This property includes a full membership to the safety harbor club and access to the neighborhood docks, pool, tennis courts, ferry landing, restaurant, and beach pavilion/access. This is a timeshare for week 34. This gorgeously kept habourview villa is located in south seas' north village. This is a fully furnished 3 bedroom 2 bathroom timeshare during week 34. The kitchen is fully equipped and has a bar adjacent to the breakfast bar seating. Large master bedroom with king size bed. Master bath has a luxurious jetted tub and separate shower. Guest bedrooms are very spacious and can accommodate your guests. The spacious living and dining areas look out to the private screened in lanai with beautiful greenery and water views. This villa has everything you'll need for your family's vacation.